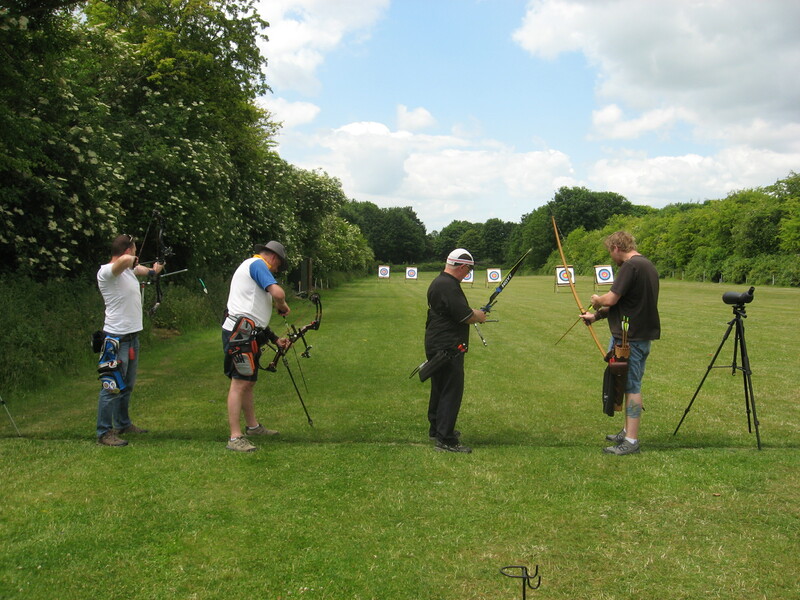 Please Note : Any Dunstable Bowmen Open Shoots require all participants to hold current Archery GB Membership. If you do not hold Archery GB membership you will be unable to participate in an open shoot. 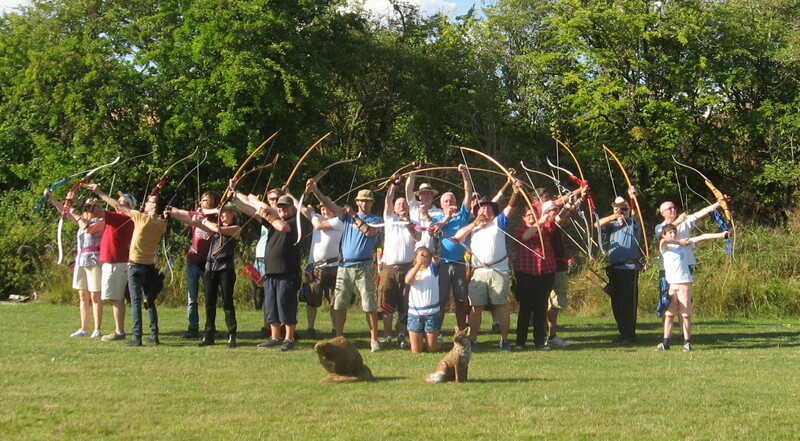 Dunstable Bowmen Archery club was founded in 1969. We have a varied membership of all abilities from County and National Record Holders to members who just love having a chat and a BBQ. Ranging from 10 to over 70 years old; our members enjoy shooting a variety of bow types from Longbow and Traditional to Recurve and Compounds. Singles, families and children are all welcome. We encourage our members to take part in tournaments outside the club. These are usually shot on Sundays – many within the three Counties from which our members come – Herts, Beds and Bucks. This year sees Dunstable Bowmen celebrate their 50th year. Having started in 1969, having started out at Dunstable College. 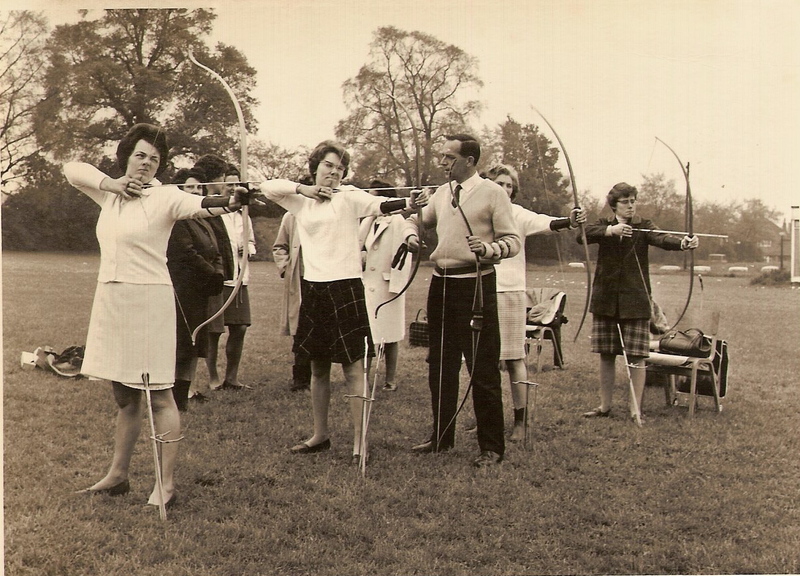 In Feb 1968 the Printing and Graphic Art fo Dunstable College of Further Education with Jim Lawrence as coach-trainer began an archery course as a keep fit exercise for bored housewives. 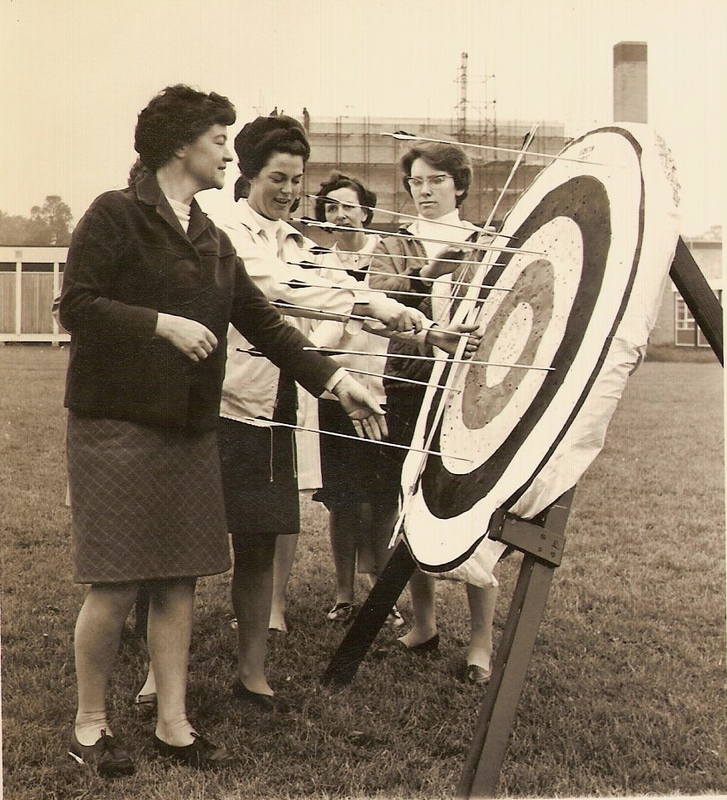 18 ladies took part shooting recurves (no compounds in those days). It was a year later when evening classes started that men were given a chance to take part. From these courses emerged a nucleus of archers interested in starting a club. On 2 June 1969 a meeting took place in the Methodist Church Hall, the Square, Dunstable when the formation of Dunstable Bowmen was proposed. Dunstable Rugby Club agreed to allow the archers to use their ground in Bull Pond Lane for shooting. 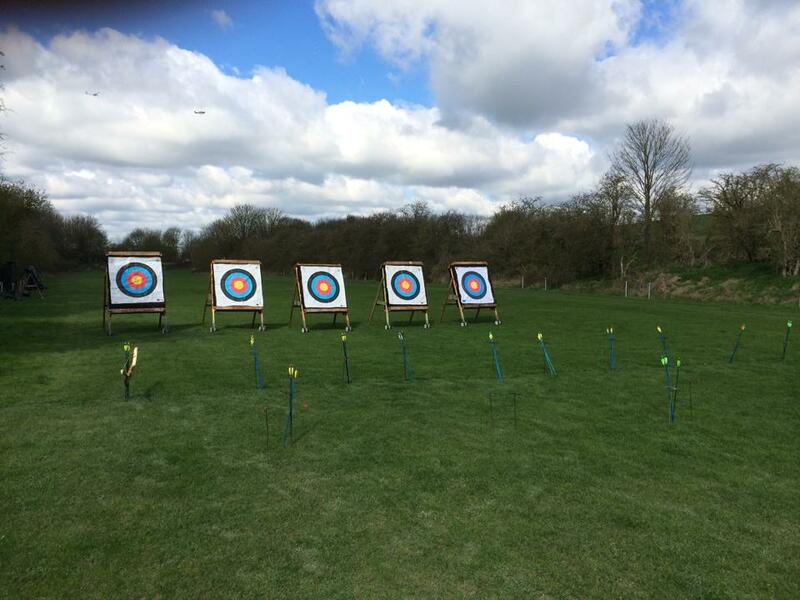 Unfortunately they soon had to move to Leighton Buzzard RFC after a ruling by GNAS (Grand National Archery Society) regarding the overshoot distances, meant the farthest we could shoot there was 60yds, no good for the club. Indoor shooting was initially arranged at St Lukes Church Leagrave. After several changes of site we are now at the London Gliding Club, Dunstable and shoot indoors at Manshead School Sports Hall. The first equipment was brought in a job lot from AC Delco Archery whose club had closed. To enable the club to buy the initial equipment shareholders were invited to invest £10. These shareholders remain shareholders to this day. 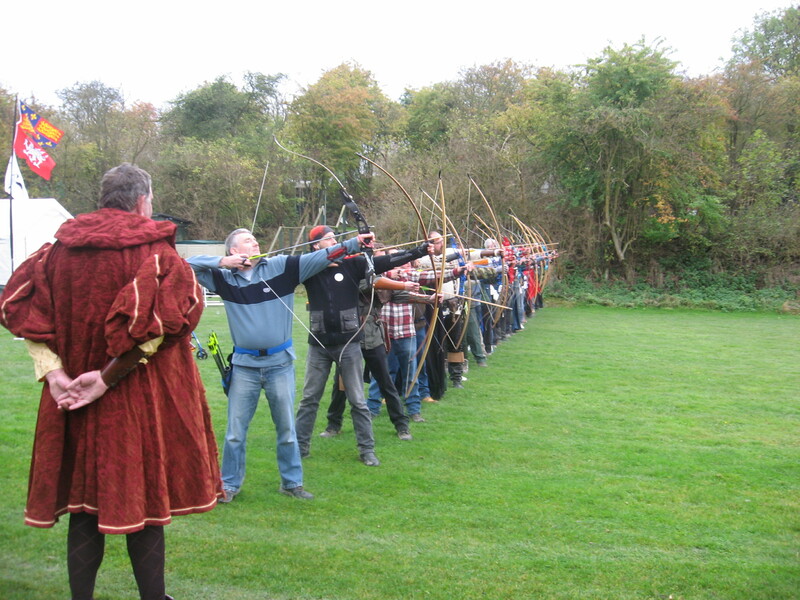 Dunstable Bowmen went on from there shooting against other clubs, Rootes, Aylesbury Bowmen, Bryers Bowmen, Vauxhall, Bedford, East Anglian, a calendar of events was soon produced. Today our club continues to introduce new people to our sport with Have a go days and Beginners lessons. See forms on our website. After completing a Beginners course you will be able to join our club. We can supply all the equipment for you to start and further coaching is free. 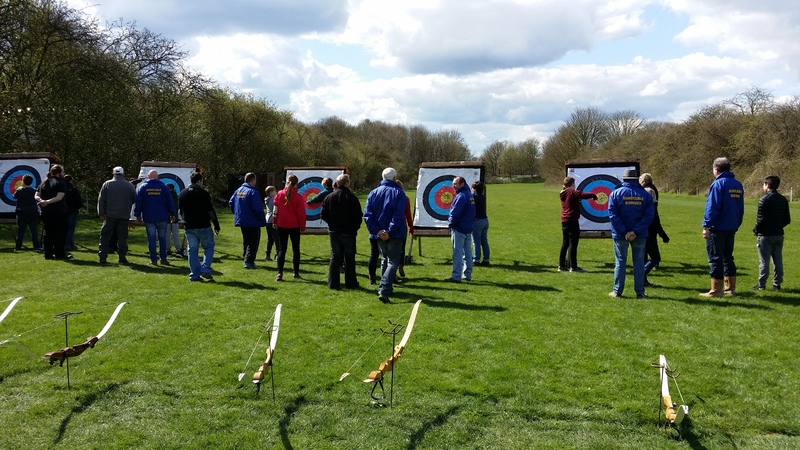 We have members who have won County and National events and take part in target, Field and Clout Archery winning badges, trophies and Club, County and National Records. 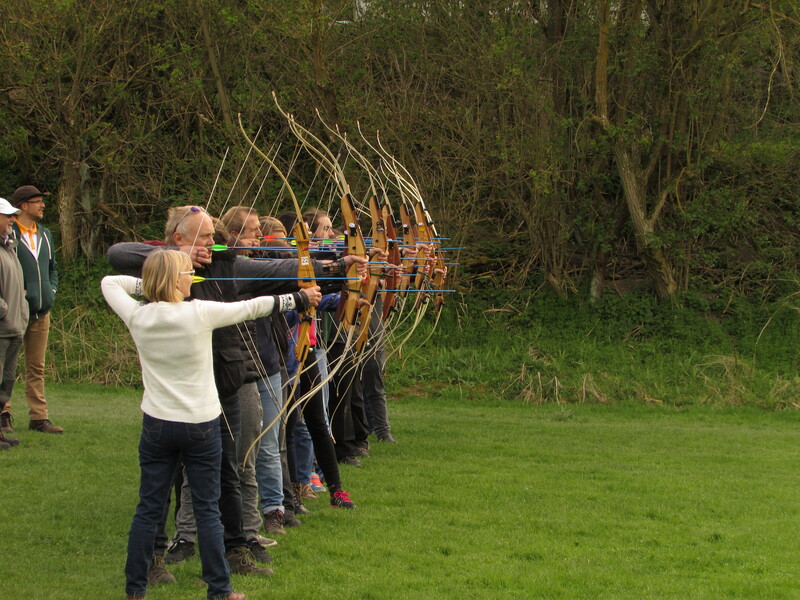 Have you tried Archery on holiday or at a sporting event, then come and see us in September for a better session. All our Have A Go sessions are supported by Archery GB coaches and they will help you to get to grips with Archery and have a fun 2 hours. New dates now posted for the sessions in 2019 so take a look at the relevant page. 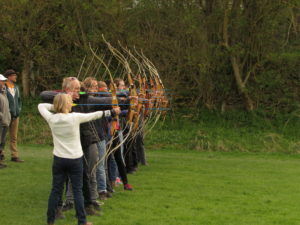 During the year the club does two Archery Have a Go sessions. One in April and one in September. If you are interested in these or would like to take part in a beginners course then please do get in touch at the following mail address. Go to our Beginners Courses Page for the application form for the beginners course or the Have A Go Events page for more information and booking details on taster sessions. All the dates for 2019 are now live on our Club Events Page, please let us know if you need more information.